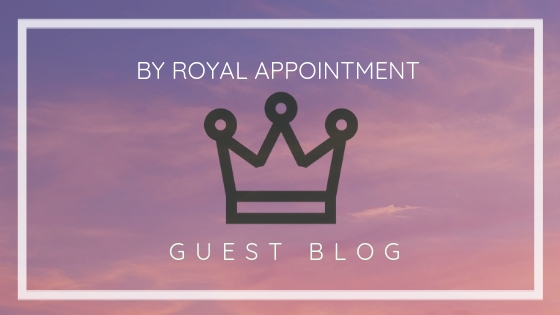 Today Sara is sharing a post she wrote back in June last year when the new colours arrived! Check out below the NEW In Colours just announced for 2019-2021 at OnStage!! You’re going to LOVE them! Oh, how I am still loving the new additions to our colour families. 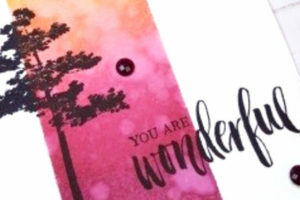 They were the inspiration for this card using the beautiful Rooted in Nature stamp set. I love how vibrant all the colours look together and my class attendees certainly had fun making this card. 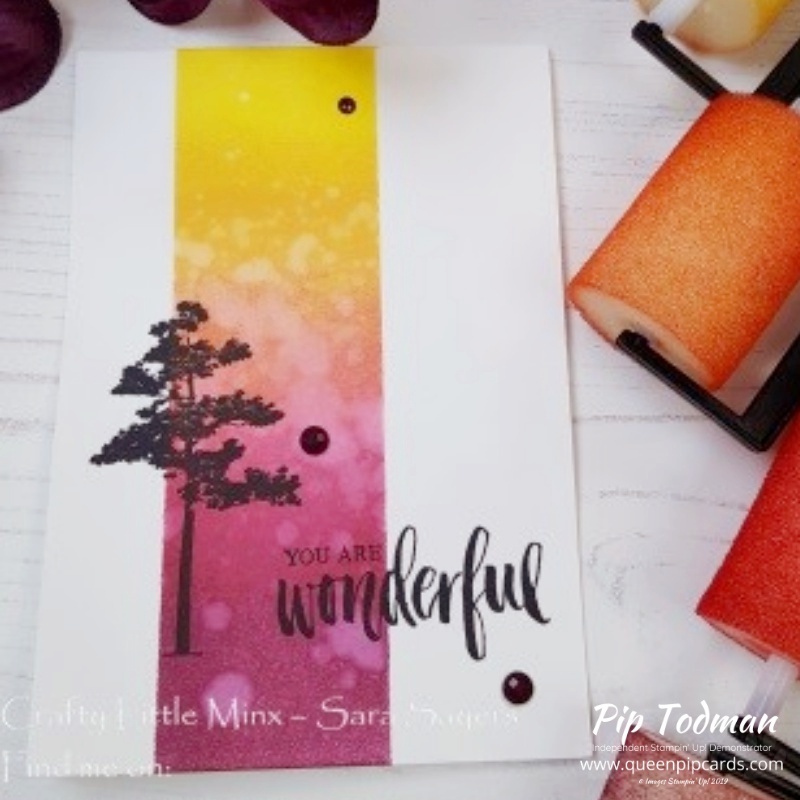 For this super simple but utterly stunning card, we masked off a section of the card and using the sponge brayer’s, layered the colour to create a brilliant block of colour. We then added a splatter of water and dabbed it off with a paper towel to create a little more texture. We then used my prized possession, my stamparatus to add the tree and sentiment. Perfect positioning every time! I love the overall effect once the faceted dots complete the project. Voila! 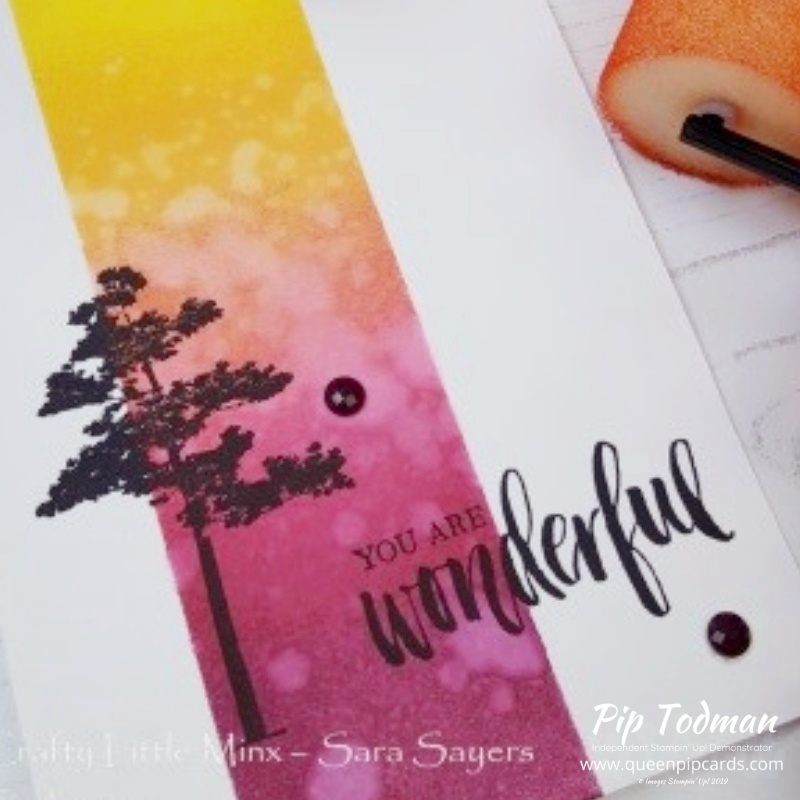 I received one of these cards from Sara and I can tell you it’s gorgeous! If you have any questions, please get in touch! COMMENT HERE. Feast your eyes on yet more lovely colours coming in JUNE! I know it seems like months away, but I also know you want to see them. Am I right?!?! Not the best photo as it’s a big screen grab, but you can get the idea! 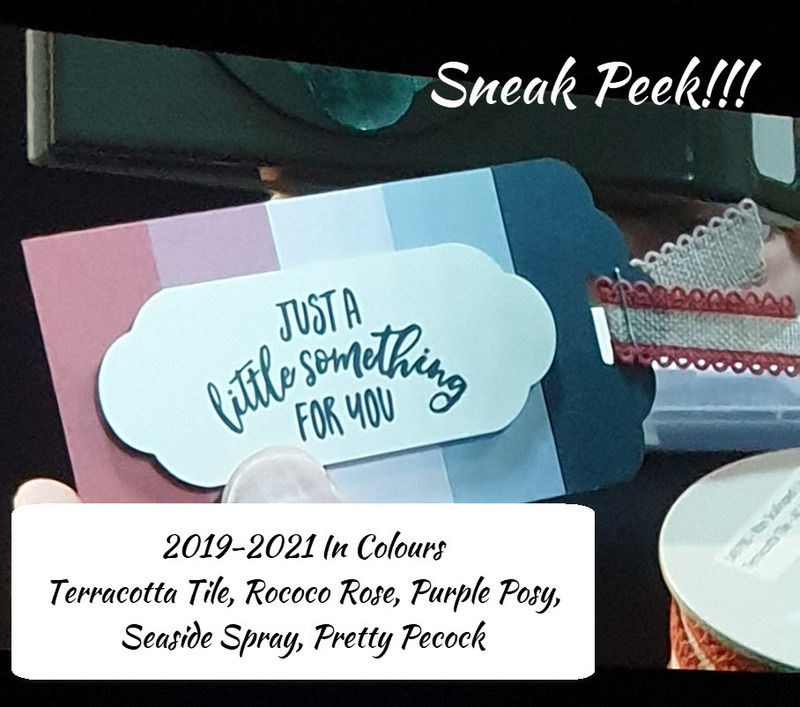 These gorgeous new colours will be available 4th June, and I cannot wait to share them with you more in May. Don’t forget any purchase over £45 gets you into my HUGE April Giveaway and all orders get you in to my snap prize draw too! You can read all about it here. I have lots of prizes just waiting to be given away!! First draw is in 2 days time, so don’t miss it!